Whether it’s through singing or acting out skits, playing soccer or swimming; counselors at the Maui Family YMCA day camp programs have led kids in developing good values and having fun for more than 45 years. Wherever the location, the programs have the same outcome: kids have fun while they learn how to make new friends, build new skills, and growing self-confidence. 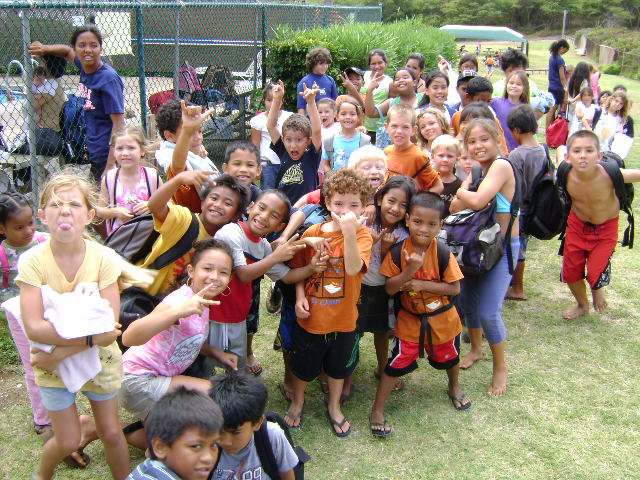 For kids, the Maui Family Y camp programs are a fun way to enjoy the summer. For moms and dads, it’s a way to give their children a positive developmental experience. All camp programs provide basic skill knowledge in several different sports and activities. All games will be played in a non-competitive atmosphere. Sports covered may include soccer, swimming, basketball, field hockey, football, and a wide variety of field games. All Specialty Camps are taught by staff trained in a particular sport or activity. Whether it is swimming lessons, the sport of archery or cooking with our YMCA chef, there is something for everyone. When not in their Specialty Camps, campers will be participating in the Camp Moana program schedule. Sensei Reese Lee teaches students to use character and patience through the art of White Crane Karate. Classes will teach students to avoid conflicts as well as to improve their lives through instilling self-confidence, self-discipline, respect, and responsibility. White Crane is a family-based program that is fun for everyone. Feel free to take a single trial class before registering. No Classes during the months of September and March and classes are held on Tuesday and Thursday at 6:30 pm. Learn the art of playing a musical instrument. Make it a family lesson and learn together. The YMCA offers lessons in Guitar or Ukulele. Our instructor has time slots available throughout the week and on Saturday. Sign up for at the front desk and our instructor will get in touch with you. Need a place for the little ones while you work out? Our Child Watch is the place to be for your children while you work out and get refreshed. Child Watch is for children 3 months – 12 years and is ran by volunteers that are committed to providing a safe, happy and positive environment. Every second Friday of the Month drops your kids off at the YMCA while you go on a date. We will provide a light dinner/snack, a drink, arts and crafts, games and a movie. Mom and Dad, you provide the child.